ID (inhibitor of DNA binding) proteins contain a helix-loop-helix (HLH) motif and regulate tissue-specific transcription within several cell lineages. They do not bind DNA directly, but inhibit lineage commitment by binding basic helix-loop-helix (bHLH) transcription factors through their HLH motif. ID1 proteins lack a basic DNA-binding domain but are able to form heterodimers with other HLH proteins, thereby inhibiting DNA binding. ID proteins contribute to cell growth, senescence, differentiation, and angiogenesis. Inhibitor of differentiation or DNA binding-1 (ID1) interacts with the transactivation domain of p65 (p65TAD) both in vitro and in vivo. 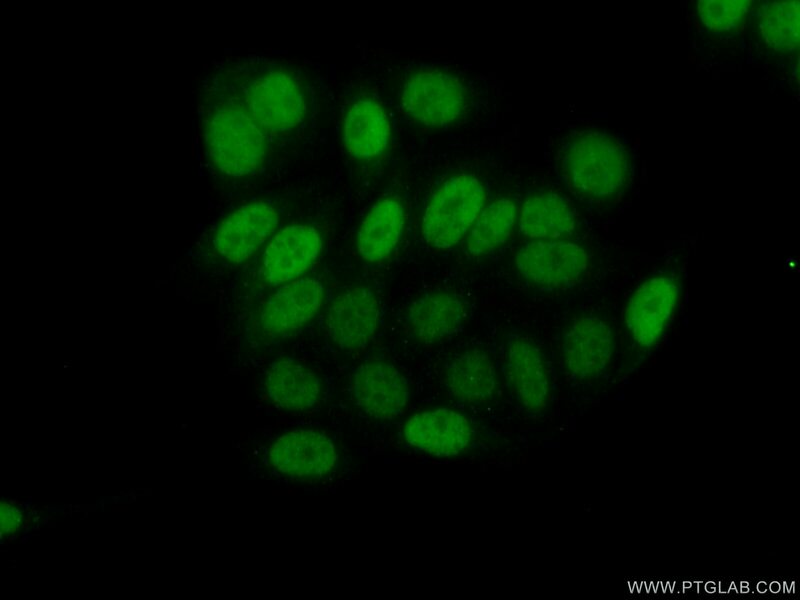 The molecular weight of ID1 and p65 complex is about 45-50 kDa (PMID: 22592405 ). Id1/NR2B Receptor Pathway Regulates Rat Cochlear Sensory Epithelial Cell Survival after Radiation. Expansion and maintenance of primary corneal epithelial stem/progenitor cells by inhibition of TGFβ receptor I-mediated signaling. Exposure to ambient air fine particulate matter prevents VEGF-induced mobilization of endothelial progenitor cells from the bone marrow. Bone morphogenetic protein 4, inhibitor of differentiation 1, and epidermal growth factor receptor regulate the survival of cochlear sensory epithelial cells. BMP-6 inhibits cell proliferation by targeting microRNA-192 in breast cancer. High extracellular pressure promotes gastric cancer cell adhesion, invasion, migration and suppresses gastric cancer cell differentiation.